The Hotpoint TCM580BP Aquarius Condenser Tumble Dryer provides 8 kg of space to dry all of your family's clothes with ease. The optional heat settings of the Hotpoint TCM580BP allow you to choose how your clothes are treated. More delicate garments can be dried on a lower heat setting to protect them, whereas towels and sheets are ideal items for the warmer setting, getting them dry nice and quickly. On the theme of protecting your clothes, this Aquarius Condenser Dryer also prevents your clothes from aging via the innovative wave design drum, which lifts your clothes, ensuring they are gently floating on warm - preserving their natural softness and colour. Hotpoint's new water bottle is much larger so you can get through more loads with less emptying - which means less effort on laundry day. The reverse tumble action helps get your clothes dry evenly and without tangling, so they are less creased and easier to iron. 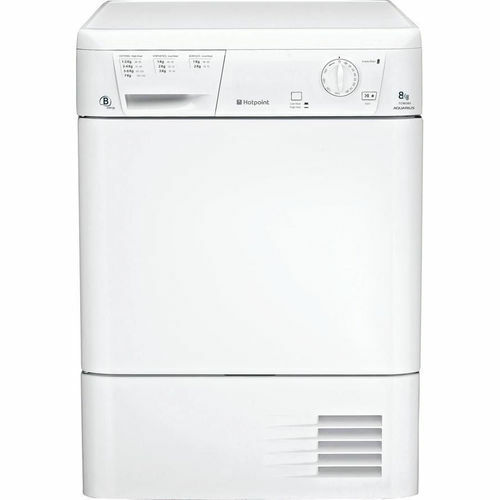 With an easy to use timer, the Hotpoint TCM580BP gives you great flexibility. You can dry set a drying cycle anywhere from 2 hours to 20 minutes, to suit the type and dampness of your load. 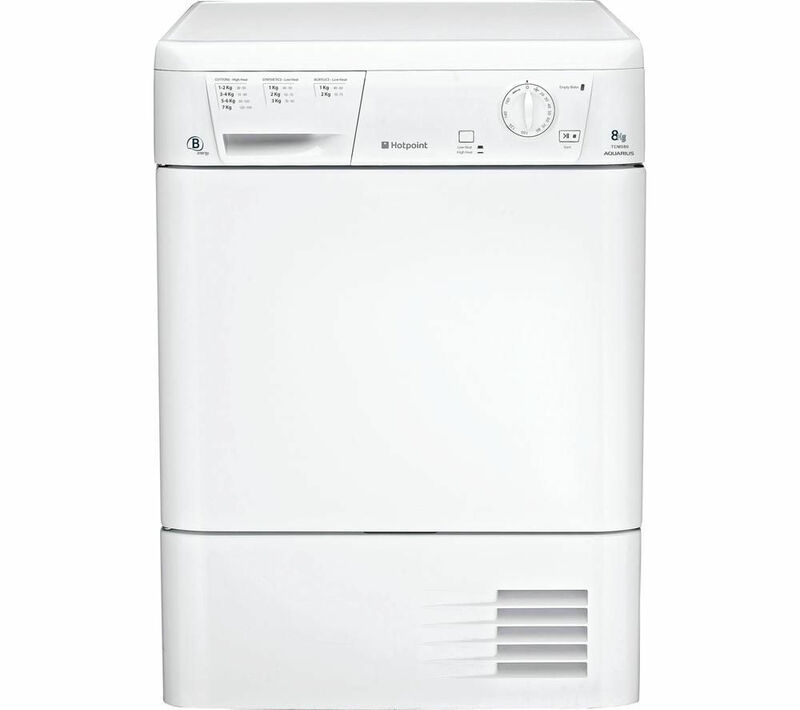 Consider the Hotpoint TCM580BP Aquarius Condenser Tumble Dryer in white for intuitive and sensible drying for you and your family.